A study identifying the little-studied ways of how flu viruses hijack human cells and spread infection throughout the body has been published by a New York team of researchers. It could give insight into brain disorders such as Alzheimer's and Parkinson’s diseases. Scientists from Icahn School of Medicine at Mount Sinai in New York examined how Influenza A – a family of viruses that includes the most deadly strains of flu worldwide – can hijack cells for its own purposes. 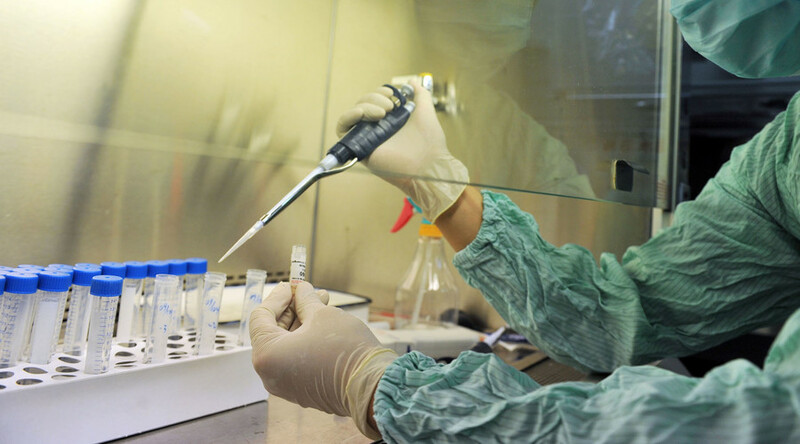 Influenza A is responsible in part not only for seasonal flus but also pandemics such as the Swine Flu and other flus that cross from mammals or birds into humans. As Influenza A is an RNA virus it reproduces itself inside the nucleus. This is in contrast to most viruses that replicate in a cell's cytoplasm. The researchers found that once inside the nucleus, Influenza A hijacks the RNA exosome, an essential protein complex that degrades RNA as a way to regulate gene expression. An access to the RNA exosome is vital for the virus’ growth. “The flu pathogen needs extra RNA to start the replication process so it steals these molecules from the hijacked exosome,“ lead researcher Dr Ivan Marazzi said. The study, published in the journal Cell, identifies a link between congenital defects in the RNA exosome and the neurodegeneration that results in people who have that rare mutation. Investigators studied the cells of patients with an RNA exosome mutation to gain a greater understanding of how the flu virus takes control of the RNA exosome inside a cell's nucleus for its own gain. The team concluded that while the loss of RNA exosome activity severely compromises viral infectivity, it also results in human neurodegeneration suggesting that essential proteins associated with rare disease are targeted to ensure the virus continues to adapt. "This study shows how we can discover genes linked to disease – in this case, neurodegeneration – by looking at the natural symbiosis between a host and a pathogen," Marazzi said. He added that the genes affected in these unusual cases where neurodegeneration is caused by a congenital RNA exosome mutation may shed light on neurodegenerative disorders such as Alzheimer's and Parkinson's diseases.